Driving under the influence is expensive in Florida. Not only will you have to pay fines in excess of $1,000 or more, but you might also have to pay a court judgment if you injured someone while driving under the influence. Although bankruptcy can help you discharge many kinds of unsecured debts, can it help with DUI-related expenses? 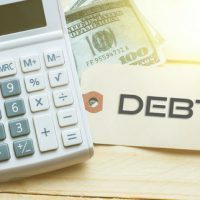 According to the bankruptcy code, you can discharge a debt in bankruptcy, which is defined as a “right to payment.” Under this definition, a judgment creditor has a right to payment, so that judgment qualifies as a debt. Furthermore, bankruptcy discharges “all debts” and “any liability on a claim,” which means that it does not matter if the court judgment has been rendered yet. Instead, if the accident happened before you file for bankruptcy, it qualifies as a debt for discharge. In practice, this means that you cannot eliminate a court judgment if it was based on your impaired driving. Instead, the court judgment survives any bankruptcy. A Chapter 13 bankruptcy will allow you to discharge some debts that a Chapter 7 will not. Unfortunately, a DUI-related debt is not one of them. As section 1328(a)(2) makes clear, DUI-related debts will not be discharged in a Chapter 13, either. There are many wrinkles to the law. For example, section 523(a)(9) applies if you were operating your vehicle “unlawfully” because of intoxication. But what happens if you were not specifically cited for DUI? For example, the police might not have come to the scene of the accident to perform a breath test. Or what happened if you were charged with DUI but beat the charge at trial or were able to plead to a lesser offense? In these situations, it might be possible to claim that your court judgment is not DUI related, but things can get complicated. If you find yourself in this situation, then you should consult with a Florida bankruptcy attorney who can assess whether you can discharge the court judgment using either a Chapter 7 or a Chapter 13. At Nowack & Olson, our bankruptcy attorneys have helped thousands of consumers discharge debt, including court judgments. Our experience runs deep, and we can help you consider your options, including whether to include a court judgment in your petition for discharge. To start the process, please schedule a consultation with us right away. You can reach us by calling 866-907-2970. We have offices in Miami, Plantation, Boca Raton, and Jupiter.